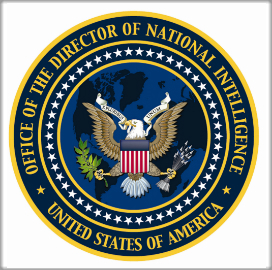 Jason Klitenic, former deputy general counsel at the Department of Homeland Security, has been named general counsel at the Office of the Director of National Intelligence. The office said Monday DNI Dan Coats swore in Klitenic following the latter’s Senate confirmation last week. Klitenic previously served as a deputy associate attorney general at the Justice Department and collaborated with national security stakeholders during his legal career, which includes work at law firms McKenna Long & Aldridge and Holland & Knight. He handled counterterrorism, government procurement, information sharing, government compliance and ethics cases while in private practice. He also served as vice chair of the American Bar Association’s homeland security committee.